​Lulu & Mischka are musicians and inner peace facilitators that draw upon the ancient earth wisdoms from east and west, guiding people together to unite in sound and silence. Their offerings see them travel the globe for concerts, workshop and retreats as well as receiving inspirations and teachings. 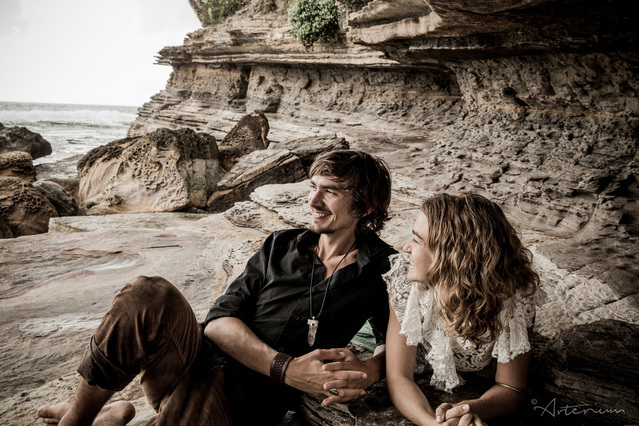 Based in the Byron Bay area, Australia, life's calling leads L&M on their mission to support the awakening of humanity. The married couple offers a chance to join their radiant journey into the powerful practice of chanting. They believe that coming together in the magical energy of joyful heart songs ​brings us closer to each other, further away from separation and deeper into Truth... leaving you with peace of mind and ﬁlled with inner Joy. Lulu's pure and crystal clear vocals awaken and inspire listeners to share their voice and join the prayer into the heart of all. Ecstatic, meditative, blissful. L&M travel the world gathering traditional prayers to share them in their own unique way. The past six years have seen them tour throughout Europe, Asia and Australia, holding Chanting Concerts and preforming at Festivals, Retreats, Yoga Teacher Trainings and Health Resorts.